Alright guys, now this is a very short post, for a very short day. Today i will be showing you one very simple and nifty whatsapp trick you can do to have fun with your friends, which is turning text upside down using fliptext. 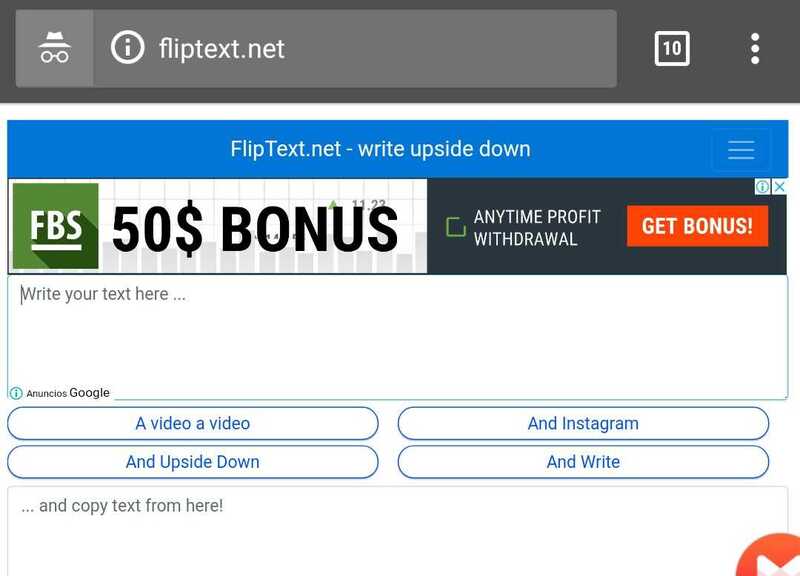 like this..
And for those who don't know, fliptext is a simple website where you are required to type in texts, then it automatically turns it upside down for you. From there, you can easily copy the upside downed text just the way it is, and paste it as a text message on any of your social networks, not only limited to WhatsApp. So how do we go about it? First of all, open your web browser and type in fliptext.net as the web address. Once it opens, you will see something like this. The upper portion of it where you saw "Write Your Text Here", is the part where you type in your required text as stated. And the lower is where the text has been converted. From there, just copy and paste it to anywhere.. Cool right.. So just make sure you leave us a comment after doing that.. and also check out our WhatsApp Tricks 101 post below.